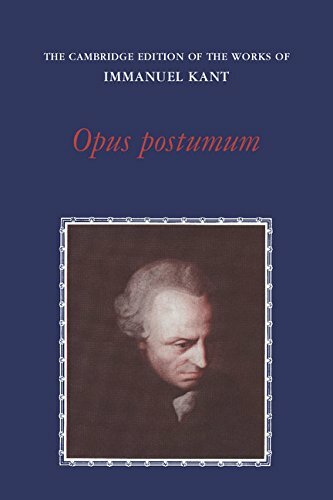 This volume is the first ever English translation of Kant's last major work, the so-called Opus Postumum, a work Kant himself described as his 'chef d'oeuvre' and as the keystone of his entire philosophical system. It occupied him for more than the last decade of his life. 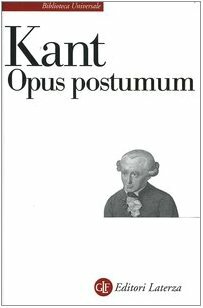 Begun with the intention of providing a 'transition from the metaphysical foundations of natural science to physics,' Kant's reflections take him far beyond the problem he initially set out to solve. 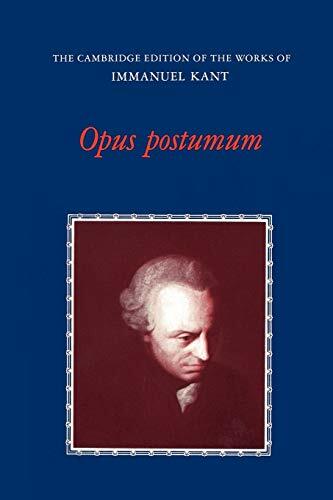 In fact, he reassesses a whole series of fundamental topics of transcendental philosophy: the thing in itself, the nature of space and time, the concept of the self and its agency, the idea of God, and the unity of theoretical and practical reason. Though never completed, the text reaches a logical albeit not fully developed, conclusion.